From the front desk receptionist to the CEO, virtually any employee in a company is a “brand ambassador” for the firm, whose actions and demeanor will determine how the organization and its products or services are perceived by diverse audiences. But this universal responsibility for good behavior notwithstanding, the power of a company’s top executives to reinforce or dismantle the brand is amplified when they meet with journalists, meet with clients, or appear in other public forums. A CEO who appears shabby, timid, awkward, or unprofessional may leave the impression that the company he or she leads is insignificant or even struggling. Or, at the other extreme, if the CEO is too slick, aggressive, or contrived, he may be perceived as untrustworthy, and his claims about the company as false. What’s more, according to corporate communications experts who have dealt with it, the problem of unpresentable CEOs-or senior vice presidents, VPs, or directors-is notably prevalent at high-tech and biotech companies where business leaders ascend to their positions through technical and scientific achievements rather than by winning friends and influencing people. Yet no matter the challenge, it’s the role of the company’s business communications officers to groom their leaders. And it need not be a losing battle, those on the front lines say-especially if outside help is called in to lob the grenades and take the hits. In some cases, the CEO’s personality may be the problem. One who is afraid of being misunderstood may say too little to be useful for journalists. Conversely, an overeager CEO may say too much about the business or other topics and not deliver to journalists the messages the PR department wants to disseminate. For example, the CEO of a Web-based transportation firm went on a press tour in 2000 to tout its innovative approach to tracking and managing container shipments. The CEO went a step further, however, with a key publication (the Journal of Commerce) by telling an editor that a deal with a key potential client was “imminent.” Understandably, the CEO was eager to build credibility. However, the Journal of Commerce published the information quickly thereafter-in fact, before the deal was complete. Upon seeing this information, a competitor jumped at the opportunity, approached the client, and stole the deal out from under the company. Had the CEO simply not impulsively offered the details of the incomplete deal, the competitor would never have known. Heavy foreign accents also can exacerbate communications problems. 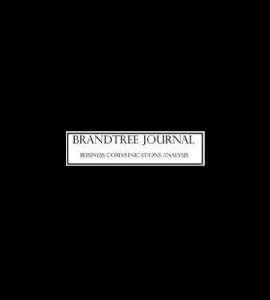 One high-tech firm’s communications professional, who spoke to the Brandtree Journal on condition of anonymity, said her own company’s Asian president’s accent caused huge PR problems because journalists simply couldn’t decipher his words. Plus, she added, he’s prone to wearing cheap-looking suits and ties, which can lead people to believe that his company makes low quality products. He’s a brilliant engineer, she insisted, but today a corporate president is valued as much for his or her ability to be a spokesperson as for the ability to run a company. “But nobody wants to walk in and humiliate him” by telling him the hard truths, so she and her cohorts in the company’s marketing department are scheming to give the president a makeover without him fully realizing what’s happening, she said. How can such a makeover be accomplished? The first step is to build the CEO into his own “natural brand”-that is, one that flows naturally from his existing character traits. Any attempt to re-make him into a “forced brand”-that is, one that is artificially created from manufactured attributes-will misfire. For example, if the CEO is naturally a “geek,” it won’t work to dress him up like a Wall Street banker; he’ll merely resemble a geek trying to imitate a banker. “How you present yourself matters,” said David Lance Schwartz, owner of David Lance New York (www.dlny.com), a men’s custom clothier whose clients include CEOs of the world’s largest corporations, as well as owners of mid-size companies. But the presentation will be worse if it’s false, Schwartz said. Before beginning to design the right packaging (clothing) for his client’s brand (personality), Schwartz said he conducts an interview that’s meant to uncover three things about the man: how he perceives himself, how he wants to be perceived, and how he ought to be perceived. “It’s a guided conversation,” Schwartz explained, that also extracts facts about the client’s routines, such as whether he often speaks to large groups or small, where and for how long he travels, and how he prefers to dress. Yet regardless of his or her natural tendency to do the opposite, the diehard techie should dress in business attire, even when meeting with newspaper and magazine journalists, who are often badly clad themselves. “The jeans-and-sneakers image is of companies that eventually disappeared,” noted Southard. “Even in a print interview, the tone of the article (will be) influenced by how the journalist perceives the person in front of him,” he said. Jeans may be appropriate if the CEO is going on a safari, but not to a business meeting, Schwartz advised. “More than anything, men are creatures of habit. They’d rather fight than switch,” Schwartz said, adding that his goal is to have the client understand and be comfortable with the makeover. Of course, women are CEOs, too. And although David Lance only works with men, Schwartz said he would apply the same process to changing the way a woman presents herself. Making a CEO or other top executive presentable may require more than just a style makeover, however. The communications professional mentioned above said she has hired a “speech coach” and is looking for an “executive coach” to work with her company’s president. The speech coach was assigned to reduce the president’s accent and teach him how to be assertive with his tone of voice. The executive coach will be engaged to buff the president’s presentation skills-to teach him how to stand, what to wear for television interviews and business meetings, and skills for handling the press. She’s relying on the consultants to pull no punches while she provides positive reinforcement to the president as he improves. For example, she plans to compliment his taste when he wears nice new clothes. The entire process with both coaches will probably consume four or five months, she said. It’s easier for an outsider than an insider to be brutally honest with a top executive. “It puts the internal person in a very awkward position” to be too candid, Southard said. Ultimately, the most presentable CEO (or other top executive) is the one who also strikes a balance-between candor and discretion, formality and casualness-and, like the finely tuned brand, takes time to develop.